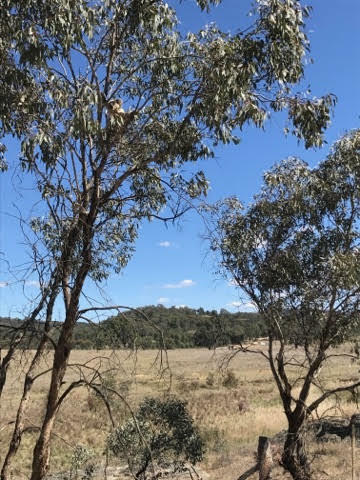 On Thursday the 2nd of November, locals spotted a Koala within the Lue area, adding greater value to the environmental amenity of the region. A very special member of the Lue Community unexpectedly tuned up outside the front gate of the Bowdens Silver project at Lue today (November 2) in a silent protest against the proposed silver and lead mine. Spotted by a local resident he was walking along the road outside proposed mine site looking to get a drink in the precious water that is Bingman Creek and runs through the Bowdens property. 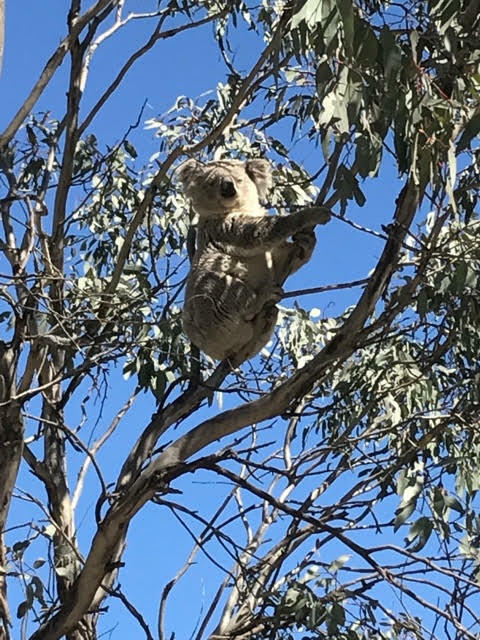 He sat up in a small tree on the Battens Road at the Bingman Crossing just outside the proposed mine while locals and kids from Lue School looked on in awe of the little fellow. This little blokes appearance is a "death knock" for the mining company that is attempting to get an approval for a massive open cut, toxic lead and water hungry mine in the pristine and delicate environment that is Lue. View Mudgee Guardian Article here.